Vintage style meets practical function. The Bell Riot is the malcontent Custom 500 that got tired of messing around with snap on shields and dreamed of a better life. You don't have to tolerate antiquated shield mechanisms to get your classic vibe. Never again will you roll up to a stoplight and feel those stuffy claustrophobic feels set in- you know, the ones that make you want to rip your snap shield off and just breathe, or have you screaming inside your head at the red light (c'mon, go green already!) as your face shield steadily fogs up like a sinking ship. The Bell Riot Helmet won’t make you a prisoner of your own radness. It won’t leak rain directly into your eyeballs when you get caught in a passing shower. It won’t rip off in the wind when you turn around at speed to check on your partners in crime. 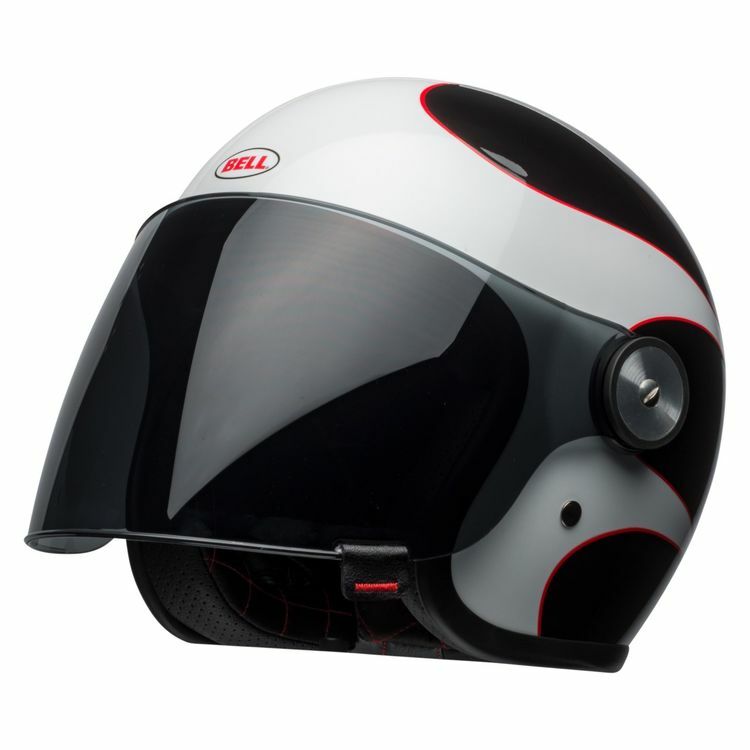 It is a killer classic helmet with a modern, easy-to-change faceshield mechanism and a wind-and-weather tight gasket seal. And that, my stylish friend, is a beautiful thing. Note: The Bell Riot Helmet fits snugly around the jaw to occlude noise. It may not be a good choice for riders who require a little more room in the jaw area. BEST ANSWER: I have no problem wearing eyeglasses. Just curious, Revzilla lists it as an Intermediate Oval, but many reviewers have it far over on the Round side -- any feedback? more oval or round? THanks. BEST ANSWER: Definitely round. I’m intermediate oval, and this helmet is tight on the forehead. I wouldn’t wear it for longer rides. It’s not comfortable like Arai helmets are for me. does the visor come off?